Traditionally pre-written or “canned” software has been available to consumers on a tangible medium—on diskettes, tapes, or CDs. However, with evolving technology odds are that few people today, other than those literally buying software off the shelf at a big box retailer, obtain software in tangible format. Many businesses implementing software systems have turned to the electronic delivery of software, cloud solutions, or having consultants load the software and then leave with the tangible software CDs in tow. Purchasing software electronically can be more convenient and it can save businesses and individuals sales tax on their software purchases – sometimes a sizable amount. In Virginia, sales of pre-written software in a tangible format (e.g., on CDs) are subject to the retail sales and use tax. However, if the software is downloaded from a website or otherwise received in an electronic format where there is no tangible product provided (including load and leave situations), it is not subject to the tax. Consider an ERP system with a cost of one million dollars. The tax savings of purchasing that software in electronic format is 53,000-60,000 dollars depending upon where the company is in the state. The savings could be greater depending upon what other services may be purchased in connection with that software (as some of the services may be taxable, depending upon how the contract(s) are structured). Purchases of additional software licenses generally follow the tax status of the original transaction. Thus, if a company purchases software that is received in a tangible format, additional licenses that may be purchased under the same agreement are generally taxable even though the licenses merely represent additional rights to use the originally purchased software. On the other hand, if the original purchase involved the electronic download of the software, any additional licenses for that software generally are not taxable. The Virginia Department of Taxation is strict in terms of documentation needed to validate a non-taxed sale of software. Specifically it requires that a sales invoice, contract or other sales agreement expressly certify the electronic delivery of the software and that no tangible medium for that software has been or will be furnished to the customer. Absent the proper documentation of the nontaxable nature of the sale, the Department may (and does) upon audit assess tax on the transaction(s) – on the purchaser or seller, or possibly both. If structured as part of or in connection with a software license agreement, software maintenance contracts which include both technical support and the right to receive fixes, enhancements, and updates to the software generally are taxed the same as the original software transaction if the updates are provided in the same format as the original software. Thus, if the software is taxable, the maintenance is taxable; if the software is not taxable, the maintenance is not taxable. It is noteworthy that in Virginia software maintenance contracts that provide for both labor and parts, or rather technical support and fixes, and updates, are taxable on one-half of the total charge for the maintenance. Maintenance that includes only technical support is not taxable; maintenance that provides updates only is taxable on the total price. In situations where pre-written software may be purchased in one format but the maintenance for the software provides for updates, etc. in a different format, the maintenance agreement may be considered a separate agreement (and possibly taxed differently) if the transactions constitute independent transactions. The Department of Taxation ruled in PD 13-51 (April 29, 2013) that even if a license agreement and a maintenance agreement are signed on the same day, if there is no obligation in the license agreement requiring the purchaser to purchase the maintenance agreement, the agreements are signed and structured separately and not as one overall agreement, they may be considered separate agreements with each taxed according to the form of the software/updates included. One must be careful, though, in structuring the separate agreements. Otherwise, the maintenance will follow the taxation of the original sale of the software, thus even if software updates are provided electronically they will be taxable if the original software was provided in tangible format. As with the software purchases the documentation for software maintenance agreements that include updates is very important. With any kind of maintenance agreement, and particularly those purporting to be nontaxable, the agreements should specify the method of delivery for software updates, upgrades, or enhancements. They should specify the types of transfers allowed and not allowed so that the intention of the parties is known. Documentation (invoices, internal documentation establishing electronic downloads, etc.) supporting the transaction needs to establish the exact method of delivery intended and used, and such method of delivery needs to be verifiable. Absent such documentation, tax may be assessed upon audit by the Department of Taxation upon the seller or purchaser, or both, if no tax is collected and there is a question as to the actual method of delivery of the software. Software purchasers who obtain software in electronic format should maintain proper documentation as outlined above and should encourage their suppliers to document in contracts, invoices, and otherwise, the method of delivery of the software. Also, businesses that have old software arrangements are encouraged to re-visit them to see if new contracts that accurately address the method of delivery of software or updates can be structured as the odds are the software is being delivered by electronic means anyway. This article addresses the taxation of prewritten software in Virginia. Other states generally tax software differently. 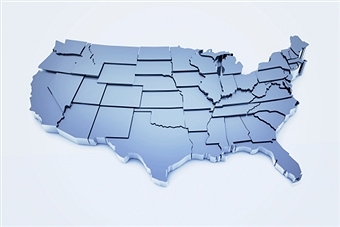 Most states tax all sales of pre-written software. In addition, some states may tax software that is used in the state even if it is not installed on computers in that state. Thus, it is important be aware of (and to document!) how your software is delivered and where it is being used. Questions? Please contact your Keiter advisor, email us or call 804.747.0000 for more information on this issue. Sales Tax - New Rules on the Horizon? Va. Code §§ 58.1-603 and 58.1-604. “Load and leave” refers to the practice of having persons load software onto a customer’s computer and then leave with the software. No tangible software is left with the customer. Va. Code § 58.1-609.5 1. Ruling of the Tax Commissioner PD 07-22 (March 27, 2007). Ruling of the Tax Commissioner PD 05-44 (April 4, 2005). Ruling of the Tax Commissioner PD 98-19 (February 9, 1998). Ruling of the Tax Commissioner PD 13-51 (April 29, 2013).